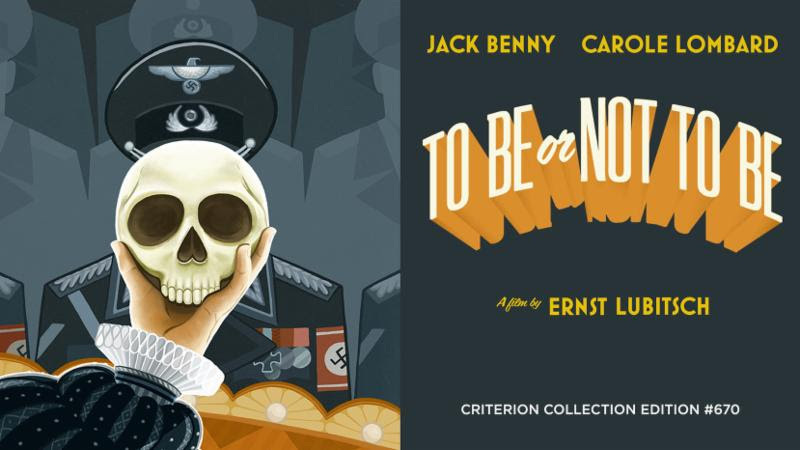 A troupe of Polish actors get caught up in espionage and intrigue when the Nazis invade Poland in Ernst Lubitsch's delightful wartime screwball comedy, To Be or Not to Be. Perhaps not as pointed as it could be, given that it was released right after the US entered World War II, making its subject a difficult one for comedy, but Lubitsch's fabled magic touch is on full display here. The set-up and repeated punchlines of the recurring gags are all aces, and Lubitsch even manages to pull the heartstrings (a recurring motif involving Shakespeare's "if you prick us, do we not bleed" speech from The Merchant of Venice is especially poignant) while giving audiences permission to laugh during a very dark period in our history. The idea of a Jewish filmmaker and crew lampooning the Nazis feels especially heroic and subversive for the time, using The Merchant of Venice as its rallying cry, but Lubitsch keeps the proceedings moving along with its rapid-fire sense of humor, and its healthy skewering of pomposity of all kinds, be it harmless (self-absorbed actors), or deadly (self-styled gods). To Be or Not to Be is now streaming on Filmstruck.